Perhaps you will have a need for one of these sweaters. 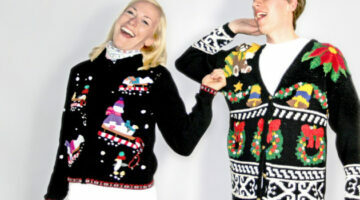 …or find a way to build your own themed party around ugly sweaters like these! Tis The Season… For Ugly Sweaters! Perhaps the following Ugly Sweaters will be helpful when you’re searching for your very own Ugly Sweater to wear this holiday season. These are the best… Or should I say the WORST?! Got a memorable story? A horrible experience? A funny situation? Why not take a few seconds to share your New Year’s Eve memories… there could be a free video camera in it for you! 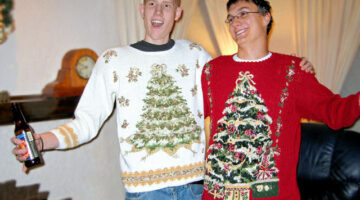 Uh Oh… Are You Wearing An Ugly Sweater? Fun things for single people to do on Valentine’s Day… and every other day you’re alone (or lonely) and looking for something to do. 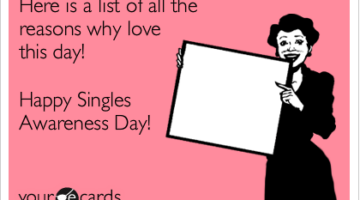 Plus, the best reasons to enjoy being single!